“For Pat and me, this has been a year unlike any other. Frankly, if you had asked me early in the year what I’d be doing right now, I would have told you I’d be celebrating with the Lord in Heaven. But clearly, He has different plans,” Palau wrote in the post shared on his website. In March, Palau shared that after two months of chemotherapy, the doctors were amazed at the results of his CT scan and blood work. All tumors had shrunk by one-third and there was no new growth of the tumors. The results were so uncommon for someone with stage four cancer that Palau said the doctors were stunned. “Whether the Lord gives me a few months or a few years ... I have no regrets. Evangelism has been my life. And there’s nothing I want more for you than to have the same deep satisfaction in knowing you are obeying the Lord and investing in eternity,” the Argentinian native wrote. He revealed that the Luis Palau Association has multiple campaigns set for the months ahead with “endless opportunities.” The initiatives are arranged for the Ivory Coast, China, the U.K., Latin America, South Africa, and several cities in the United States. Right now, however, their focus is set on Madrid, Spain. “The Lord has used our team in a unique way in Spain over the last 15 years. And now the local leaders are asking us to return for a major evangelistic festival in the capital city,” the 83-year-old Christian leader said. He concluded his post by boldly asking for financial help during the Christmas season. “Your giving to evangelism has a deep, eternal, multiplying effect. I pray you know that. And I’m excited to tell you we have a matching challenge you can take advantage of before the end of the year,” Palau ended. Every monetary gift given, from now until Christmas, up to $250,000 will be met dollar-for-dollar. On Nov 23, global Christian television network TBN celebrated Palau’s ministry and legacy by airing a special titled, “ Luis Palau: Ambassador of the Good News.” The special journeyed throughout the last fifty years of Palau’s soul-winning evangelism. The Palau Association has collaborated with thousands of churches in hundreds of cities around the world. 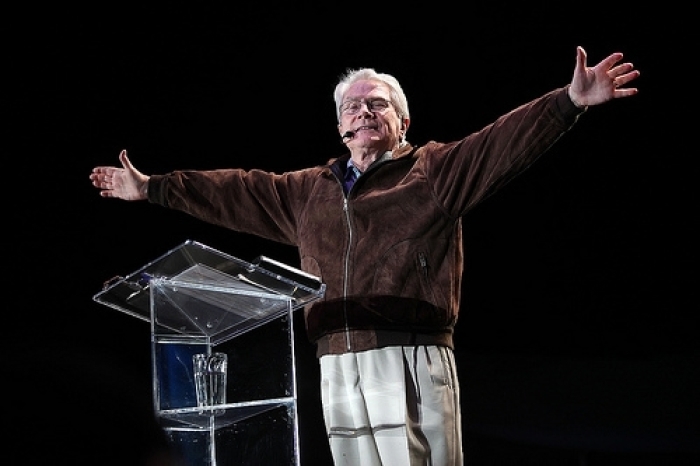 He has led millions into a personal relationship with Jesus Christ in over 75 nations. To stay up to date on Luis' condition and ministry, go to Palau.org.